We have posted many guides and FAQs for LED lights, but it’s difficult to cover everything in a single article. LEDs are more complicated than any previous lamp, and it can take a while to learn everything about them. Recently, I helped my Dad’s church move from the traditional incandescents their building had used for 100 years, to the LEDs in their new building. They had several questions, such as cost and lifespan, with more adding on even after everything was installed. So I’d like to pass these common questions, and their answers, on to you. Do LEDs Emit UV Light? The short answer: Yes. LEDs do not emit anywhere near as much ultra-violet (UV) light as halogen or fluorescent lamps (and definitely nowhere near as much as metal halide or other commercial lights), but they do emit a small amount of light in the UV range. The light they emit is enough of the UV spectrum that colors appear normal to us, but do not include the damaging wavelengths that wash out color from paintings or damage skin over time. Many people wonder if the lack of UV means LED lights won’t attract bugs. Most insects are attracted to light outside of the “yellow” range, which means that, while LEDs have less UV light, they do still attract bugs. “LED lights emit zero heat” is a slogan we hear over and over again. While this is true (LED light emits no perceptible heat), the lamps themselves do emit some heat. This can actually lead to problems with LED life because people place them in enclosed fixtures or airtight recessed cans. While the bulb of an LED light won’t heat up like an incandescent (even after hours of light, the lighted surface of an LED is only slightly warmer than room temperature), the driver and heatsink, typically mounted in the neck and base, will heat up. This heating is usually not hot enough to run a toy oven like an incandescent, but it can get hot enough to burn out the electronics in your lightbulb. Proper airflow prevents this from happening. 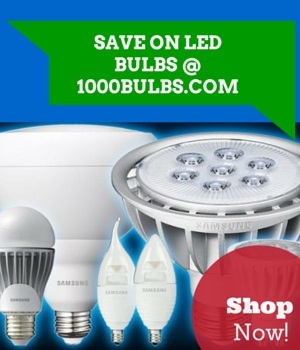 LED light bulbs will heat up if there is no airflow around the bulb, just like any electronic device. Why Aren’t My LEDS the Right Color? We have an explanation regarding binning in another article. But to summarize quickly: An LED die (the chip in an LED array that emits light) is made in a batch and binned with other LEDs based on color and temperature. Buying lights at different times can give you slightly different, but noticeable, color temperatures. If you are replacing older incandescents, the color temperatures of incandescent bulbs change over time due to age. This is why replacing an old 2700K incandescent with a new 2700K bulb (of any type) can seem like the new bulb is the wrong color. LEDs do not naturally have issues with flickering or humming. While LEDs turn on and off constantly to save on energy, the rate of change is faster than human eyes can see and flicker is unobservable. Light flicker is usually caused by issues in the electric current, which can mean driver issues, dimmer incompatibility, or faulty wiring. If your LEDs seem to be flickering, make sure you’re using a compatible dimmer and that there isn’t an issue with any of the drivers you’re using for the bulbs. No product has ever been made that is produced with a 100% success rate. While many companies and brands reduce the number of flawed products through testing and rigorous quality control, there will always be a flawed bulb or two that fails to light initially. But what can lead an LED lamp to fail prematurely when they are rated for 25-50,000 life hours? Almost always, this is a problem with a damaged or failed driver, commonly due to overheating because of an enclosed fixture or housing. Drivers are the main failure point for LED bulbs and are often the culprit for most LED problems as well. Having answered all of these questions, you will be glad to hear my Dad’s church is lit nicely, even after a small dust-up with a dimmer switch that now properly supports LED lights (you should always make sure you do not exceed the maximum wattage rating of a dimmer switch). Have any other burning questions you want to ask? Leave them in the comments below, or contact us through Facebook, Twitter, Google Plus, LinkedIn, Pinterest, or Instagram!